Heritage Day means all types of things to all types of people that inhabit our marvellous, soul-filled little country. But it’s no coincidence that our cultures come together in a melting ‘pot’, because the greatest unifier of them all is food, especially in SA, Suid-Afrika, Afrika Borwa, Mzansi. South Africa, our land. 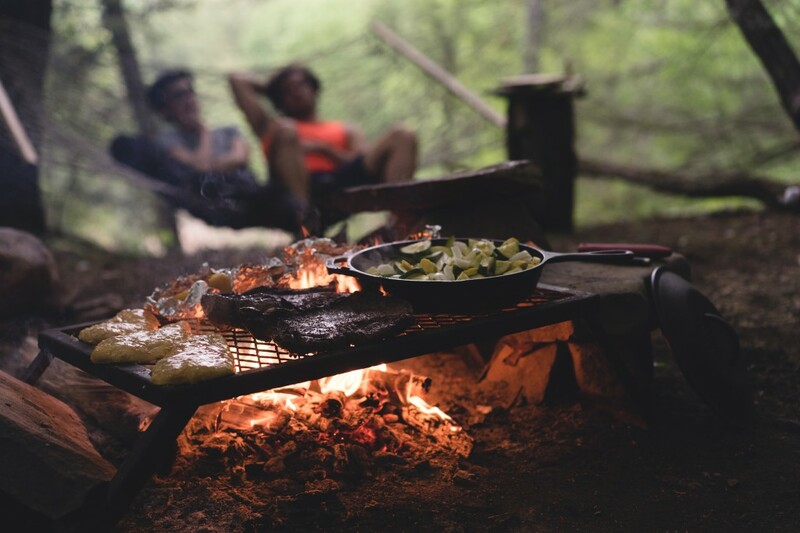 Whether you’re visiting family, going on a picnic or staying home with friends coming over, we can’t imagine that any of these scenarios would not include a braai. 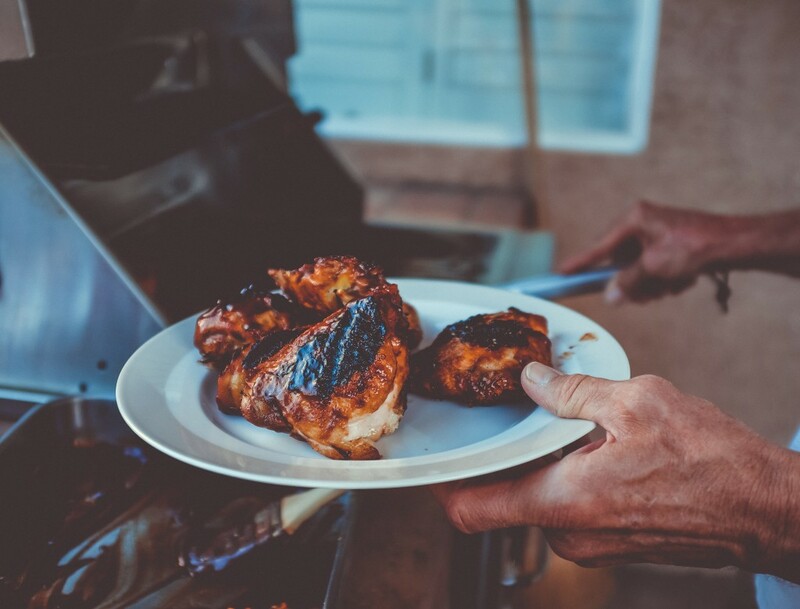 It doesn’t really matter whether you’re dishing up on paper plates, enamel ones or your gran’s best china, when it comes to a braai, we’ve all got the same flavours in front of us. Your favourite meats: chops, steak, boerewors, sosaties, chicken and even fish. The obligatory starches to soak up the juices: roast mielies, pap and foil-wrapped potatoes on the coals. Vegetables? Sure. Potato salad (the closest many get to any type of salad at a braai) and the must-have tomato smoortjie or chakalaka. 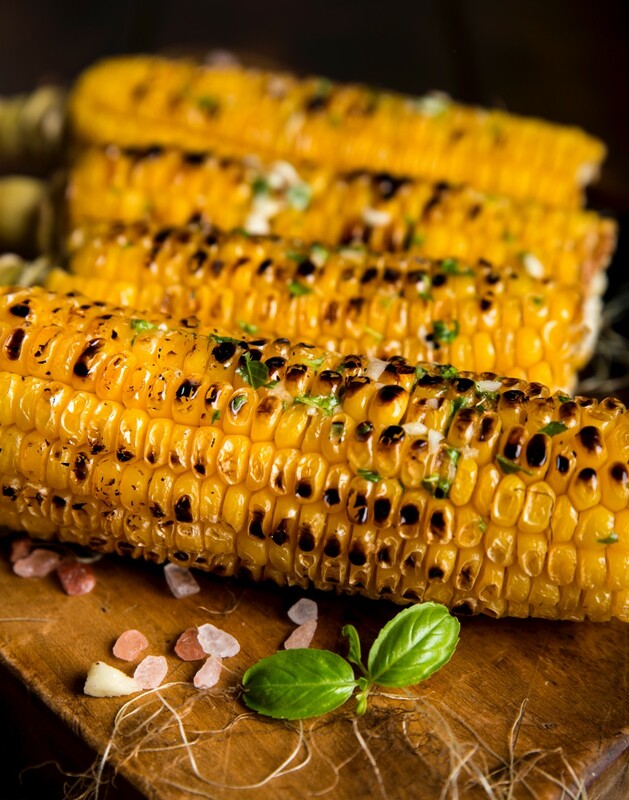 If you can outlast the lure of flame-grilled meat fresh as soon as it comes off the braai, you could choose to add to the rest of the menu with braaibroodjies, potbrood or even a potjie. Just listing this lot is enough to spur anyone on to light up a fire and get started. But wait a minute. Half of the taste we love so much, the part that fire helps burn into the meat, comes down to marinades and spices. And this is where even the best of friends can cross braai tongs with each other. Everyone has a secret recipe passed down for generations. A little of this, a lot of that, a splash of something else, all left for an undisclosed number of hours to soak into the meat for the best flavour. The spices you choose are really the most important contribution to the taste you take off the braai, lovingly sprinkled and rubbed into those tender meats, fish and vegetables. But do you stick with your own blend of spices every time or do you ever try something new? We thought we’d spice things up a bit this year and see whether we could cook up something fresh and different with a few new flavourings we’ve spotted on the shelves. 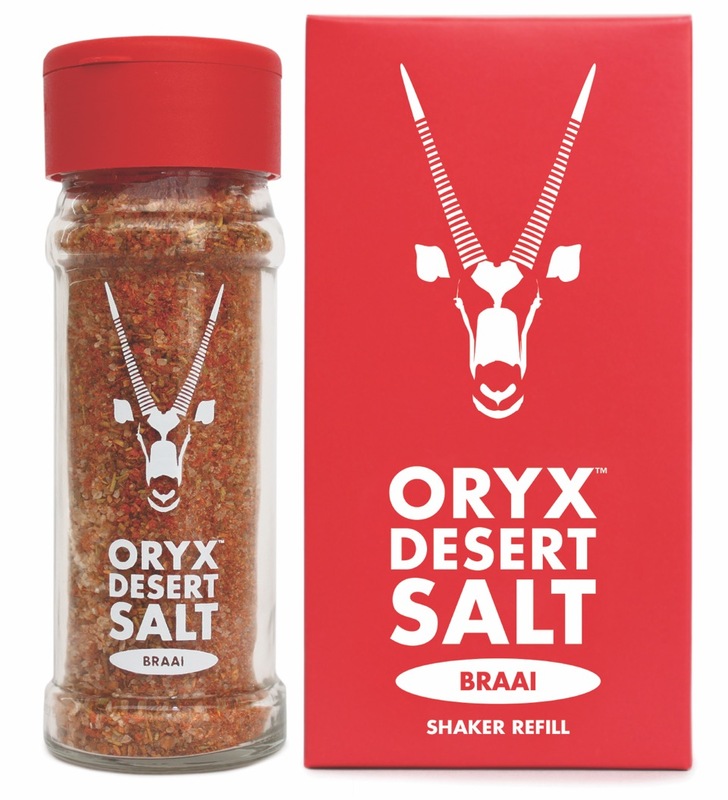 Oryx Desert Salt have just come out with an all-in-one Braai Salt. Reading down the list of ingredients, you realise right away that they’re not messing around. It’s a heavyweight blend of pure, natural, sun-dried Oryx Desert Salt, garlic, sun-dried tomato, masala, coriander, ginger, black pepper, cinnamon, rosemary, turmeric, cumin, all spice, paprika and just a touch of sugar. I can already taste the dark and crackly chicken skin bursting with juice, as the hot flesh releases its flavours. Not only is this Braai Salt sassy in its seasoning selection, but it’s also completely natural – nothing fake or artificial about it. Free from fillers, MSG, irradiated herbs and spices and absolutely free of preservatives. This is something you have to give more and more thought to these days, especially with kids at a braai, and this one comes safe to eat as is. Because it’s all-natural, not every mix is the same, so expect slight variations in colour and texture. Whether it’s meat, chicken, fish or vegetables, Braai Salt seems to bring out the best in everything it touches. It comes in an easy to use shaker and will sit very comfortably in your spice cupboard side-by-side with other braai favourites like steak and chops, barbecue and peri-peri. And though it’s made to play well with fire, feel free to sprinkle it on everything, even a juicy rump in a pan for dinner! You should be able to find Oryx Braai Salt at your local Pick n Pay so grab some, give it a shake next time you’re having a braai, and see if you have a new secret ingredient to astound your family and confound your friends. Don’t forget to let us know what you think. Invites to taste tests are always welcome to kitchen@foodies.co.za. We’ll bring the (potato) salad!